Everyone acted surprised when we learned yesterday that after a couple of disastrous months, MSNBC is defiantly refusing to change their editorial process. But why would they? 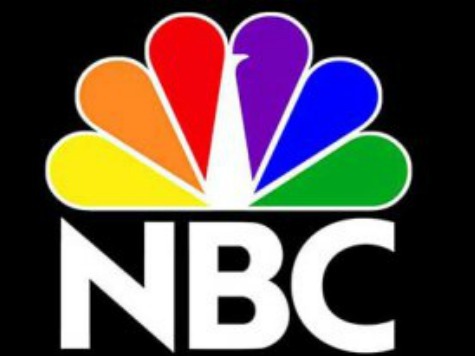 For years now, MSNBC and NBC News have both become a culture of left-wing hate and fraudulent editing. The only thing new, as you will see below, is that the frequency of the fraud and hate is increasing. 1. In August of 2009, MSNBC anchor Contessa Brewer sliced and diced a photograph so it wouldn’t look like a black man attended a Tea Party carrying a firearm. Brewer then blasted the Tea Party as racist. 4. In April of 2012, NBC News maliciously edited a 911 call to make it sound as though George Zimmerman racially profiled Trayvon Martin. 5. In June of 2012, on her MSNBC show, longtime NBC star Andrea Mitchell attempted to manufacture a Romney gaffe with a fraudulent edit. 6. In January of 2013, MSNBC fraudulently edited video to make it look as though one of the Sandy Hook parents was heckled by gun rights activists. 7. In August of 2013, MSNBC hired rageaholic Alec Baldwin to anchor a weekly show just weeks after the actor took to Twitter to threaten a gay journalist using a series of homophobic tweets. Weeks after being hired, Baldwin was fired after another predictable incident involving the actor hurling anti-gay slurs. 8. In November of 2013, during what appeared to be a scripted segment, MSNBC anchor Martin Bashir took to the air to suggest someone teach Governor Sarah Palin a lesson by defecating in her mouth. Bashir eventually apologized and left the network. 9. In December of 2013, MSNBC anchor Melissa Harris-Perry and guests held Mitt Romney’s adopted black infant grandson up to the entire world for ridicule. 10. In January of 2014, MSNBC’s “Queen” Rachel Maddow went to extraordinary lengths to lie about the Koch brothers backing mandatory drug tests for Florida welfare recipients. What we’ve seen from MSNBC the past couple of months is not new behavior. Fraudulent editing, hate, name-calling, and smears is not an editorial failure at MSNBC/NBC News – it is a business plan.